The Legend of Korra Season 2 Episode 4 is entitled Civil Wars Part II. 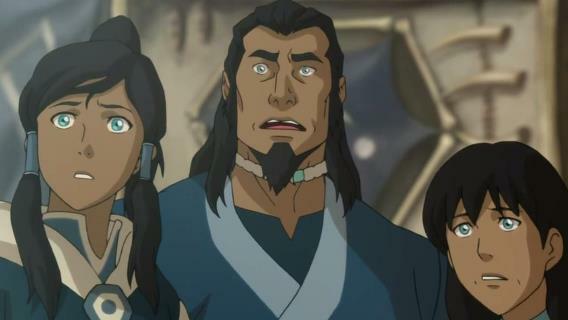 Korra’s father and mother, Tonraq and Senna, were arrested by the Chief of Northen Water Tribe (Korra’s uncle and Tonraq’s brother), Chief Unalaq. They were charge of conspiring to assassinate Unalaq, but we knew they weren’t part of it. What will happen next? Check out my predictions below. In the next episode of The Legend of Korra season 2 episode 4, we are expecting to see 3 things that will happen. First and the main part of the story is Avatar Korra’s parents (Tonraq and Senna) are facing charges on alleged conspiracy to assassinate Chief Unalaq. I’m not sure what will Avatar Korra do. She might prevent Unalaq from arresting her parents and help them escape, or turn them over and face the trial. But either way, Korra’s parents will be cleared from this. Tonraq is against his brother and his plans but he never had intention to join the rebellion and do something bad to Chief Unalaq. Hopefully this Civil War between the Northern Water Tribe and Southern Water Tribe will be resolved without any more bloodshed by Avatar Korra. Meanwhile, Tenzin is still searching for his daughter Ikki. It seems that Tenzin is not in good terms with his sibling, Kya and Bumi, due to some loose ends in the past. Tenzin was (you could say) Aang’s favorite since his the only Air Bender in the family. Kya and Bumi left Tenzin after arguing with each other. Hopefully Tenzin will find Ikki. But I’m thinking that there is a reason as to why this happened. Ikki’s disappearance might help Tenzin to become closer with Kya and Bumi. I’m sure something will happen and after Tenzin’s vacation their family will be reunited again. And the last part, hopefully Bolin will be able to sever the tight grip of the “blood sucking leech”, Eska. Desna and Eska are really weird twins if you ask me. But I’m pretty sure Eska is treating Bolin as her slaves and not as a lover. Hopefully the Civil War between the two tribes will end in next episode (The Legend of Korra season 2 episode 4). If everything goes well, Chief Unalaq will leave the southern water tribe, Bolin will be free from Eska, and the Southern Water Tribe will be at peace again. I’m not really sure if Avatar Korra will still take Unalaq’s offer and go to the North to open the other gate there. If The Legend of Korra season 2 is all above Korra and spirits, I think the Avatar team will journey to the north. The Legend of Korra season 2 episode 4 release date or air time is expected to be on September 27. I’m really excited to see the next episode and hopefully things will end well after episode 4.